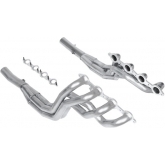 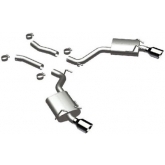 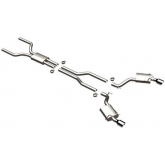 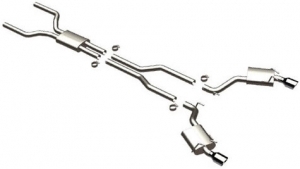 Magnaflow's line of cat back and axle back exhaust systems offer something for everyone. 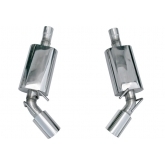 Street Series Cat Back and Axle Back systems offer an great sounding, muscular performance tone while not being excessively loud for street use. 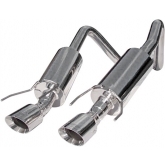 Competition systems offer a loud, aggressive race car sound and is recommended for off-road use only. 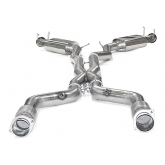 All systems carry Magnaflow's Limited Lifetime Warranty against manufacturing defects and all systems are direct bolt on replacements.